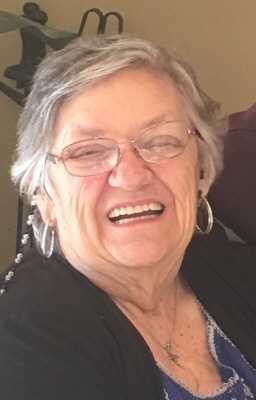 Lois Ione Brown, age 78, passed away on November 28, 2018 at her Lexington, KY residence. Lois was born July 26, 1940 in Rochelle, GA to Willy Eugene Pope and Mary Lois Smith Pope. Aside from her parents, she was preceded in death by her husband Herbert Timothy Brown in 2012, daughters Teresa Diane Dillingham, Kimberly Ann Brown and son Edward Dean Phiel. Lois is survived by her sons Robert D. Phiel, Richmond A. Browning and David Wayne Browning;sisters JoAnn Browning, Annie Merle Byrd, Janice Conner, Annie Reese, Dorothy Blackwell, Aunt Modenna Calhain; brother Steven Pope; several grandchildren and great grandchildren. Services will be held Saturday, December 1, 2018 at 2 PM at Lighthouse Baptist Church with Pastor Tommy Morrow officiating. Lighthouse Baptist Church is located at 105 Shun Pike, Nicholasville, KY 40356. Visitation at the church is from 12-2 PM. To send flowers or a remembrance gift to the family of Lois Ione Brown, please visit our Tribute Store. "Email Address" would like to share the life celebration of Lois Ione Brown. Click on the "link" to go to share a favorite memory or leave a condolence message for the family.